Whether you're looking to hire the best limo service for your wedding, a night on the town, or for any other event, Crown Limousine offers many different types of limousines to fit your transportation needs in the Seattle area. Request a FREE quote today and we will get back to you ASAP. Let us worry about Seattle traffic! Let us deal with Seattle traffic and the logistics of getting you to the airport on time; it's what we do! Crown Limousine is licensed by the Port of Seattle to drop off at Sea-Tac Airport. Crown Limousine provides airport transfer service to and from Sea-Tac International Airport at competitive rates. Use one of our Luxury Sedans to get to and from Sea-Tac for your next business trip or vacation. We’ll take care of the driving; you just sit back and relax. Whether you need a limo for a night out on the town or for another special event, Crown Limousine is the best choice for limo service in the Seattle area. Use one of our Limos, Luxury Sedans, or SUVs to travel to and from your destination. Request a quick quote today! Many of our business clients have corporate accounts with us. Our quality limo and Luxury Car service can help you arrive on time at business meetings by providing a comfortable and worry-free ride the entire way. Book a limo for your next trip today! It’s almost time for Prom! Our Lincoln, Hummer, and Chrysler 300 limousines are perfect for large groups attending school dances like homecoming and prom. Call or email us today to receive a quote for your specific limo needs. Arrive in style with our limos. When you book a limousine with Crown Limousine, you are not just booking with the best limousine in Seattle but you are booking an experience. We provide the highest quality of service, in highly maintained vehicles, at competitive prices. We offer a large selection of limousine and with us you’ll be sure to experience the difference experience makes with our Seattle limo service. Crown Limousine is a family-owned limo company. We have been dedicated to providing the most personalized and professional service to all of guests. Our expert limo chauffeurs provide reliable and hassle-free travel with comfort, style and ease. All of our vehicles are insured and fully licensed by Washington State. We are also compliant with the Port of Seattle’s licensing for pickups at Sea-Tac International Airport for our airport service. Our chauffeurs are dressed in proper attire for each occasion and maintain a professional and courteous demeanor at all times. Our purpose is to serve you, whether it’s for personal or business travel. Whatever the occasion, you’ll be sure to arrive safely and on time with a professional, experienced chauffeur at your disposal. 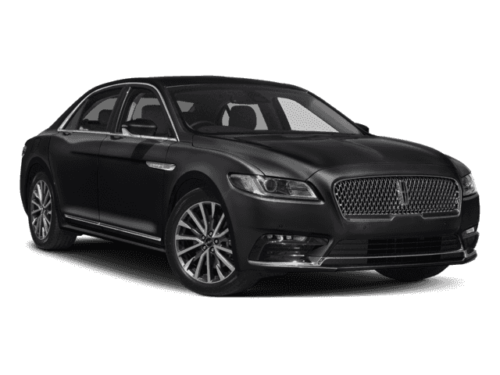 Crown Limousine aims to be the best company from which to rent a limo. Our mission is to provide our guests with the most professional, courteous service. Please take a moment to browse through our site to learn more about our company and the services that we provide. Our reservation center is open 24/7. We look forward to hearing from you soon! Making a reservation with Crown Limousines is simple and painless. Our website allows you to easily view our fleet and decide which of our limousines is best suited for your needs. If you wish to view the vehicles in person at our office in Bellevue, WA, give us a call and we’ll be happy to show you our fleet. We are proud of our selection of limousines and the quality of service we offer our guests. If you have any questions, please feel free to call us anytime or get in touch with us through email. Crown Limousine is the premier Seattle limo service. Our experienced team of limo drivers are committed to providing you with a safe and reliable limo service. Book our limos for one of your events (weddings, proms, night on the town, etc.) or for your next business trip. Travel in style with the best Seattle limo service.